It's Halloween, and New Jersey-based websites are having a field day with posts citing the state's top scary and haunted places. If you're into old graveyards or things that go bump in the night, there are plenty of places where you can satisfy your itch to get a good fright. 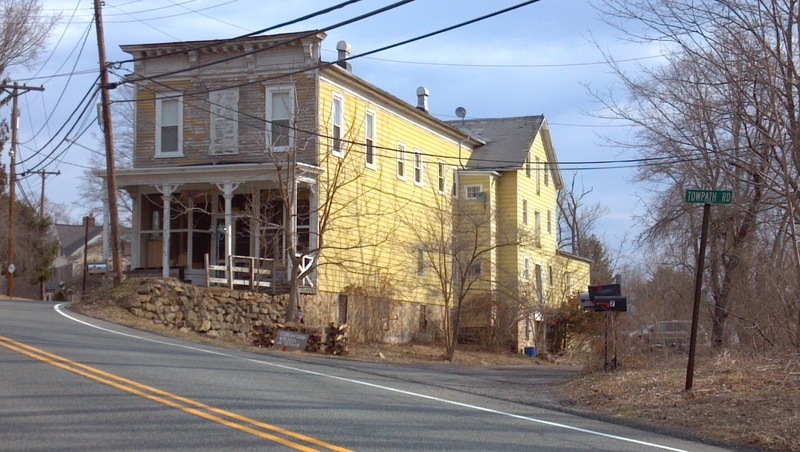 At Hidden New Jersey, we generally don't cover the mysterious, spooky and altogether ooky places that are well known to many explorers, but the spirit of the day got me thinking. Of all the places we've been, which ones do I wish were haunted? Or perhaps more accurately, which ones have stories so interesting I'd like the chance to commune with the people who once lived or worked there? The site of the Kingsland explosion: It was 1917. The United States was on the brink of entering World War I, and Lyndhurst's Canadian Car and Foundry plant was manufacturing munitions for American allies. Saboteurs were afoot, and Tessie McNamara's quick actions were the factor between life and death for her 1700 coworkers as explosions tore the factory apart. Everyone got out safely, but the saboteurs were reportedly never found. Did they go up with the blast? The seafaring community of Mauricetown: This now-quiet town once was home to what was probably the largest number of sea captains per square acre. I'd love to hear what one of those captains saw on his many journeys to foreign lands, long before airplanes made the world much smaller. What exotic places did he see? What did he think of the native people he met? The Morris Canal: whether it's the excavated remains of an ingenious inclined plane, landlocked port towns in Warren County or the canal bed that's been repurposed as the Newark City Subway, this long-dormant technological marvel has tons of stories to tell. A cooperative spirit, say of a mule tender or barge captain, might have a few words to spout about the canal's now derelict state. The Delaware Bay lighthouses: More than one old lighthouse has a tragic story of a lonely, suicidal keeper living a solitary life miles from shore. To my knowledge, none of the Delaware Bay lights in New Jersey waters have such a tale to tell, but I'd still like to chat with one of the early keepers at Ship John Shoal, Miah Maull or Cross Ledge Light. 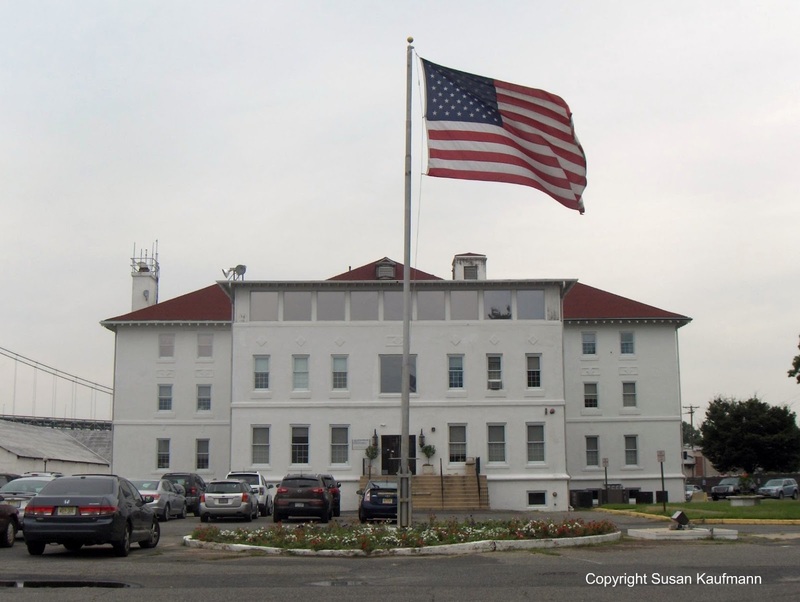 The Gloucester City Immigration Station: It was first Philadelphia's Ellis Island, then part of a Coast Guard base, then abandoned and now an office building. What were the hopes, dreams and fears of those who were detained here? Where did they ultimately end up? Earl R. Erdner's warehouses in Woodstown: Simple, sage wisdom is right there on the outside walls, ripe for the reading. I'd love to know if the long-dead Mr. Erdner has any more advice for us from the great beyond. Alexander Hamilton's room at Liberty Hall: While still a young student, America's first Treasury Secretary was the guest of Governor William Livingston's family in what's now Union Township. He already held ambitions for greater things and was building friendships that would serve him well throughout his career. What was going on in his teenaged mind? Whatever you end up doing to commemorate All Hallows Eve, have fun! And if you happen to run into the Jersey Devil, give him our regards. I call shotgun! The ultimate cross country trip with Alice Huyler Ramsey. We may have found New Jersey's first legitimate road tripper, and she was a woman with moxie. Hackensack-born Alice Huyler Ramsey was probably among the first people to get her driver's license in New Jersey, and an unlikely motorist for the early 1900s. She'd dropped out of Vassar College to marry a considerably older attorney, John R. Ramsey, and was the mother of a two year old boy. According to most accounts, her husband encouraged her to learn to drive after the horse pulling her carriage was spooked by a passing car. It's quite possible she would have come up with the idea on her own: her father had supported her childhood interest in machinery, and as events would prove, she was up for a good challenge. Alice Huyler Ramsey and her Maxwell. Note the New Jersey plates. Alice took to driving like a fish to water. After two lessons, she'd mastered the automobile and was on the road, logging thousands of miles tooling around Bergen County. 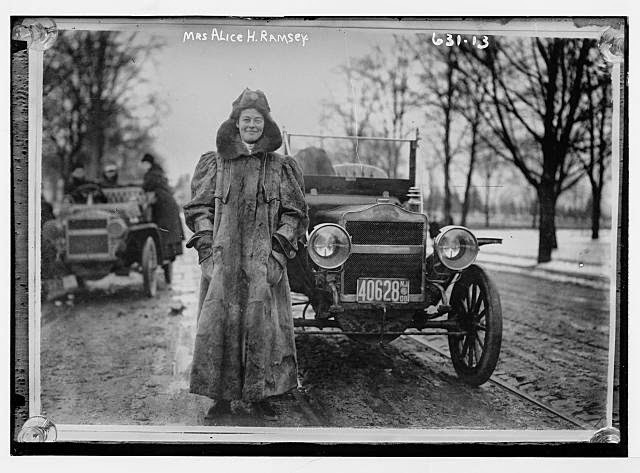 She was so enthusiastic about driving, in fact, that she entered a 200-mile endurance drive to Montauk, Long Island. After the contest, she was approached by the Maxwell-Briscoe automobile company, which saw promotional opportunities in the 22 year old. How many customers could they attract if they could prove that anyone -- 'even a woman' - could drive cross country in a Maxwell car? Alice was game. After receiving permission from her husband, she left from Maxwell's New York City dealership on June 9, 1909, with the slogan "From Hell Gate to the Golden Gate." She was accompanied by her two older sisters-in-law and a younger female friend, none of whom could drive (apparently road trippers hadn't yet enacted the longstanding rule of always having a relief driver). Heading north into New York State first to make some promotional stops for Maxwell, they then drove west along Lake Erie and then westward, roughly along the combined paths of Interstates 90 and 80. To appreciate the magnitude of the challenge, consider what we take for granted when we drive our interstates long distances, and take all of it away. There were no regularly-spaced service stations. Finding a good meal was a chancy venture that might be miles off the beaten path. Lodging was catch-as-catch-can in the days before Holiday Inns and other chain hotels; the concept of the motel or motor lodge was still years from being conceived. And then there were the roads. No maps were available for cross country navigation. East of the Mississippi River, the group used a series of Blue Books, which offered turn-by turn directions that were often unreliable because landmarks were missing or had been changed. The rest of the way, the roads were much less developed, so the travelers stayed close to the telegraph lines that linked towns and cities. Of the 3600 miles they drove, just over 150 were paved, which led to a lot of ruts, potholes and mud to be negotiated. The Maxwell's tires were treadless and slim by comparison to today's, and even with tire chains, the Ramsey group often found themselves needing to be towed or pulled out by beasts of burden lent by generous farmers. One would wonder if Alice's local driving -- possibly through the Meadowlands -- had prepared her for the muck and mire she would have to conquer on the dirt roads in the Midwest and West. On the best roads, the group hit speeds up to 42 miles an hour in the open cockpit car and could travel nearly 200 miles in a day. At the worst, they logged only four miles after a long day navigating the muck and mire. They'd often have to ford bridgeless rivers, sleeping alongside a riverbank at least once in the hopes that the water level would have decreased by the time morning came. Driving a car in the early 1900s also meant knowing what to do when problems came up -- motorists had to carefully monitor gasoline and handle whatever repairs were needed during frequent breakdowns. Alice skillfully handled the malfunctions herself; it took something as serious as a broken axle for her to seek help. Fifty-nine days after leaving Manhattan, Alice and her crew arrived in San Francisco to a grand celebration. After all that driving, they stayed only three days, taking the train back to New Jersey. Who could blame them? They'd already seen so much, had so many novel experiences. Could San Francisco, as beautiful as it is, even compare? Nine months after finishing her trek, Alice gave birth to a daughter, but that didn't stop her from having adventures. Over the course of her life, she drove across the country 50 times, the last being in 1975, at the age of 89. The American Automobile Association named her the Woman Motorist of the Century in 1960. She also attempted to drive the six passes of the Swiss Alps but only made it through five, after stopping because her doctor was concerned about her pacemaker. Alice lived in Hackensack until 1933, when she moved to Ridgewood after her husband's death. She spent the last 30 years of her life in California, where she died in 1983, and is buried in Hackensack. I can't help but wonder why the Turnpike Authority never named a service area after her. After all the miles she put on the odometer, and all the blown tires and steaming radiators she fixed, she deserves memorializing in the domain of pavement, oil and wrenches. Growing up in Union, I was acquainted very early with the story of one of the last Revolutionary War engagements fought in New Jersey: the June 1780 Battle of Connecticut Farms. Parts of the battle took place on the grounds of my grammar school, though my classmates and I weren't aware of that as we played kickball and hopscotch on the playground. Considering that, you can imagine how excited I was to hear that the committee planning the city of Elizabeth's 350th anniversary was staging a weekend-long series of reenactments in both Springfield and Union. Both towns, along with the rest of Union County, were once part of Elizabeth, so it made sense to be part of the party. We've featured the Battles of Connecticut Farms and Springfield in Hidden New Jersey before. They're essentially two halves of the same unsuccessful effort. The British, with the help of Hessian mercenaries, twice attempted to make their way through the communities to reach Hobart Gap and ultimately capture General George Washington at Morristown. In both cases, severely outnumbered Continental soldiers and local militia put up far more of a fight than the British and Hessians had anticipated. In the midst of the Connecticut Farms battle, Hannah Caldwell, wife of the "fighting parson" Rev. James Caldwell, was shot and killed, a martyr whose death brought greater sympathy to the American cause. Both towns were burned to the ground by the retreating invaders. The 2014 edition of the battle used some of the same roads as the original fight, though this time police were needed to block off traffic. Far fewer soldiers and militia were in force, though the proportion of Americans to British, Hessian and Loyalists appeared pretty accurate. And the mayor of Union was in attendance, perhaps to reassure the locals that their homes would be safe from flames. A reenactor set the stage by relating the events that led up to the battle, then narrated the action with helpful insights on the various weapons, uniforms and troop movements. As stirring as it was to see a historic battle reenacted where I'd spent so much of my childhood, the real impact came near the end of the program. In his closing statements, our narrator observed that we were standing on truly hallowed ground. Men had fought and died on that very land for the independence of the young United States of America. Some of the combatants are interred in the graveyard of the Connecticut Farms Presbyterian Church across the street, including a number of Hessians whose mass grave had been unmarked for over 200 years. Perhaps they'd been buried where they fell. In its own way, that corner of Union was just as notable as any of our most celebrated battlefields. Blood had fallen there, lives had been lost, from people who wanted to be free from tyranny. Most New Jerseyans don't think much about that, not because they don't want to, but because they're just not aware. Though some of our larger battlefields -- Princeton and Monmouth -- have been preserved to some extent, there are more that are lucky to get a small commemorative marker. Others were covered by roads or buildings or parking lots long ago. As frustrating as it might be to see hallowed ground occupied by a Walgreen's, it's still out there for all of us to find and reflect on. This map gives you an idea of the potential for discovering the revolutionary past of your own community. Let us know what you discover! Delaware Water Gap National Recreational Area is loaded with them: old houses and buildings that largely stand empty, the silent tribute to faulty government planning and successful public outcry. Many had been in the same family for generations before the Army Corps of Engineers set out to flood much of the Water Gap as part of the Tocks Island Dam project. In preparation, the federal government purchased acres of farmland and forest plus the structures that stood on them. Public opinion ultimately trumped the dubious need for the project, but the impact on the area was profound, nonetheless. While the National Park Service assumed ownership and management of the land from the Army Corps, the families were not allowed to return to their ancestral homes. What's left in many cases is the puzzling sight we discovered at the Westbrook-Bell House: a nicely maintained but tightly shut colonial-era stone house with a decidedly 21st century satellite dish. If you're like me, you salivate a little as you drive past buildings like that, wondering how much of the average stuff of daily life is left in them and whether you'll ever get to find out. More rarely than most of us wish, you may drive past one of the old houses to find it's open. That was our luck as we approached a small stone structure not far from the Milford-Montague Bridge on Route 206. The Nelden-Roberts Stonehouse was accepting visitors, as it does, two Sundays a month in warm weather. As we discovered from our friendly volunteer docent, farmer George Nelden held the property as early as 1817. It was a schoolhouse until about 1865, one of a handful located in the area in a time before free public education. The Roberts portion of the house's name came from a family who owned a farm across the road; tenant farmers were among the many families that used it as a dwelling until the federal government acquired the property. One gets the feeling that rather than being a beloved homestead, the stonehouse was more like an accommodation that came along with local employment. Still, or maybe because of that status, it has a valuable story to tell. It's likely that when it was originally built, the building was a lot like others in Montague and surrounding communities, but circumstances have a way of making the ordinary truly special. Vandalism and the loss of nearby Brick House village to the Tocks Island project encouraged concerned citizens to form the Montague Association for the Restoration of Community History (MARCH) in 1979 to save some of the remaining historic properties. A federal grant paid for adaptive restoration, which led to the building's reopening in 1982. 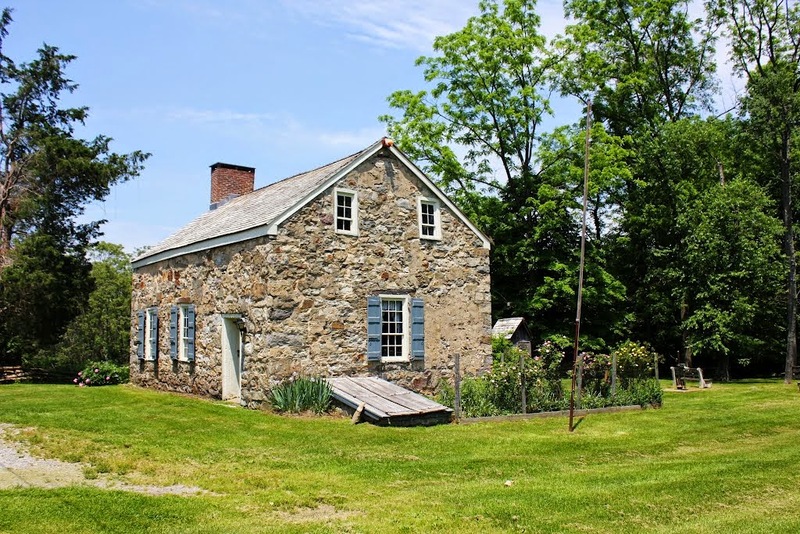 MARCH now has an longstanding agreement with the National Park Service to maintain and interpret the Nelden-Roberts Stonehouse and the nearby Foster-Armstrong House, a wooden homestead first built in the late 18th century and enlarged in 1820. They've done an admirable job. Walking into the stonehouse, we discovered a one-room schoolhouse, complete with some of the primers, slates and other items rural students would have brought for a day of study. A small side room was set up like an early 20th century general store that was, no doubt, a very welcome amenity for the rural community. Upstairs was an attic room for the teacher, large though the walls were slanted. In addition to curating it with spartan bedroom furniture, MARCH uses the space to exhibit other artifacts representing community history. When we were there, it held a World War display saluting local veterans, as well as a number of Native American objects reflecting the area's Lenape past. With the coming of colder weather, the unheated Nelden-Roberts Stonehouse will be closed for a few months, but it's well worth putting on the to-see list for the spring. Just as important as any "Washington Slept Here" attraction in the state, the stonehouse is a refreshing look into a community's past, lovingly perpetuated by neighbors who see the importance of preserving local history. As a follow-up to our story on Jersey City's Lincoln Park, historian and Hidden New Jersey reader Jim Madden took to our Facebook page to remind us of yet another tribute to the 16th president that's just feet away. Keep your eyes open when you visit the Mystic Lincoln sculpture, and you'll see the red, white and blue signs that designate some of the park roads as the route of the Lincoln Highway. as seen in the Smithsonian. If your mind is going toward the Lincoln Highway in Highland Park, Edison or any number of other places in North or Central Jersey, you're on the right track. Those stretches of road were once part of the much larger Lincoln Highway, conceived by Indiana road enthusiast Carl Fisher in 1912 to run from New York City's Times Square to Lincoln Park in San Francisco. Like New Jersey's own George Blakeslee, Fisher saw the benefits of reliable, well-maintained roads for the nation's commerce and mobility. The privately-funded highway was to take in and improve a network of existing thoroughfares to create a direct transcontinental route. Promoting the road through the Lincoln Highway Association, Fisher hoped that contributions from automobile manufacturers and private citizens would find the improvement of the 3400-mile route. If you try to follow the highway's original path through New Jersey these days, you get a good education in how roads and cities evolved to address the needs of a growing population. According to the website of the re-invigorated Lincoln Highway Association, travelers would take New York's 42nd Street west to a ferry, a necessary step more than two decades before the start of construction on the Lincoln Tunnel. Once across the Hudson in Weehawken, the highway coursed up the Palisades on Pershing Road, taking 49th Street to what was then Hudson County Boulevard into Jersey City and along the old Newark Plank Road through West Side Park, which was renamed Lincoln Park at the statue's installation in 1930. 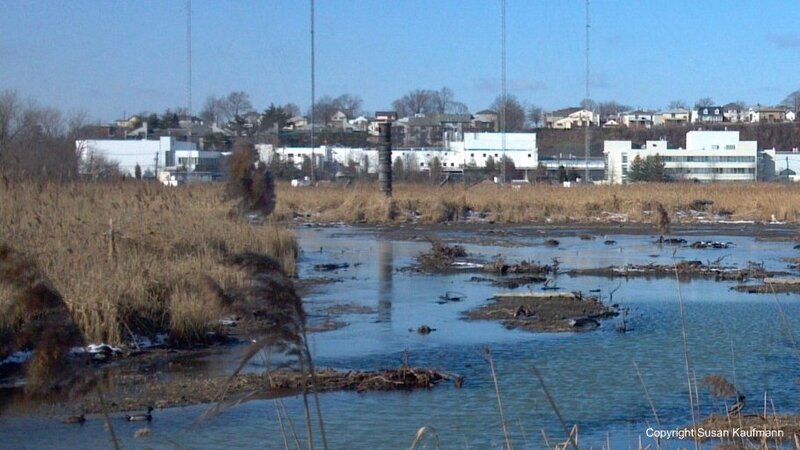 It traversed the Meadowlands along what's now Truck Route 1 and 9, well before the construction of the Pulaski Skyway. Once in Newark, the road took already-congested city streets until it linked with current-day Route 27, which took it southwest through Elizabeth, Rahway, Edison, New Brunswick and Princeton. That portion of the highway has its roots in a road originally laid out by Dutch colonists as early as 1675. The southernmost section, now U.S. 206, brought the highway from Princeton through Trenton and into Pennsylvania. In the ensuing years, the route was adjusted several times to account for changing conditions, including the opening of the Holland Tunnel. The Federal government got into the road business not long after World War I, endorsing Fisher's and Blakeslee's basic ideas but inadvertently ringing the death knell for the Lincoln Highway as the transcontinental route. Connecting towns and cities with reliable paved roads meant mobility, not just to transport goods from farm or factory to market, but for people to explore the country beyond their own community. While the Lincoln Highway was never fully completed from coast to coast, it paved the way for uniform long distance road standards and the eventual establishment of our interstate highway system. 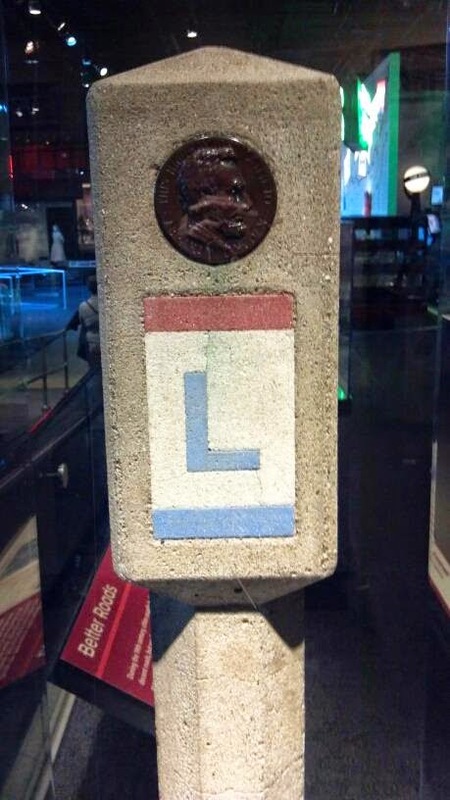 In recent years, New Jersey's reinvigorated chapter of the Lincoln Highway Association has been placing commemorative markers on strategic points along the road's route. They're metal in Lincoln Park but at least one concrete post has been installed on Route 27 in Edison. Have you seen any? Reporting for Hidden New Jersey has made me a real fan of the statues that stand in many of our older parks. Where I once took them for granted, I've come to realize that they often say a lot about the communities they're in: what the locals find important and what they value. Take, for example, the Lincoln sculpture at the JFK Boulevard entrance to Jersey City's Lincoln Park. Memorials to our sixteenth president are common enough in cities and towns in the northern states, but there's something remarkable about this one. It's said to have been the second-largest Lincoln monument at its dedication, but what's even more notable is its design and how it got there in the first place. Ivan found it and thought enough of it to bring me to visit it. Indeed, I could see why he found it so remarkable. Unlike the more majestic representation at his memorial in Washington, D.C., the seated, clean-shaven Jersey City Lincoln sits pensively on a boulder, seeming to contemplate a troubling issue. An adjacent plaque labels it "Mystic Lincoln," erected in 1930 by the Lincoln Association of Jersey City, with contributions from local school children. Ringed by a semi-circular bench, the statue invites passers-by to stop and consider the president's work and the challenges he took on during his tenure. In this deeply personal work, sculptor James Earle Fraser depicted a very human man with troubles that reached into his very core. Digging a bit deeper into its history, I discovered that the statue also represents an enduring dedication to Lincoln and his achievements. 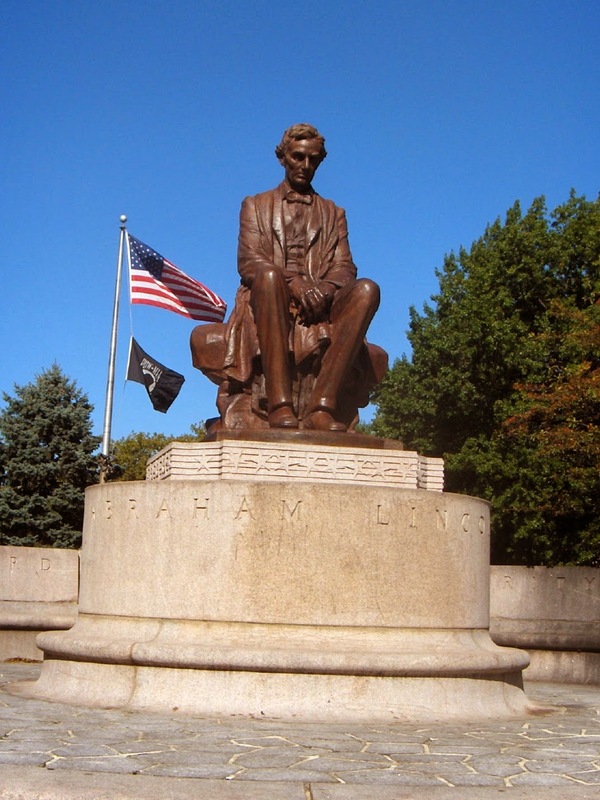 Jersey City is home to the nation's oldest continually-operating Lincoln Association, which has met on February 12 every year since 1867 to commemorate the Great Emancipator's birth. Though New Jersey's electoral votes failed to go to Lincoln in both of his elections and opinions of him were mixed, Jersey City was home to many who supported the president before and after his untimely death. According to its website, the founders of the association were civic leaders and businessmen who vowed to meet annually to "discuss the obstacles [Lincoln] overcame in his early years, his firm and fair philosophy, his vision and courage, and his many achievements." Since then, the yearly ceremonies have included re-enactments and readings from Lincoln scholars. Anyone who reveres the former president's memory is welcome to attend the events, which are now held at the sculpture and in the Casino in the Park nearby. "That government of the people, by the people and for the people shall not perish from the earth." "With malice toward none and charity toward all." "Let us have faith that right makes might and in that faith let us to the end dare to do our duty as we understand it." Immortal words all, and well worth considering through the ages. 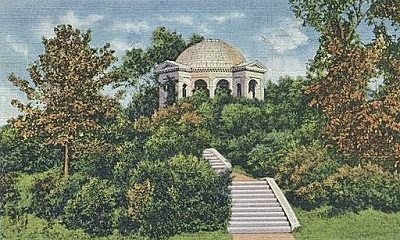 Stroll around the slim section of Newark's Weequahic Park that's north of Route 22, and you might come upon an elegant domed pavilion atop a hill. Nearly a century old, the Greco-Roman shelter seems a bit elegant for a park that was designed in the more naturalistic style of the Olmsted Brothers. A temple to a celebrated Newarker, perhaps? A gift from one of the city's 19th century industrial barons? The design of the structure, as it turns out, doesn't relate very much to the inspiration for its placement at the highest point within the park. In fact, if you consider the story a certain way, it pretty much replaced a tree that stood on the spot 350 years ago. And it marks a geographic point that's no longer relevant. As boundaries often go, it seems the dividing line between the old cities of Elizabeth and Newark was in question in the earliest years of New Jersey's status as an English colony. Elizabeth share's the state's 1664 birthday, while Newark was founded just two years later. Within a few years, both communities' leaders realized that the settlements were bound to overlap eventually if a boundary wasn't established. On May 20, 1668, commissioners from both communities met at the highest spot in current day Weequahic Park to determine a dividing line. The line settled was: "the top of the little round hill named Divident Hill; and from thence to run upon a Northwest line into the country" until it met Watchung Mountain. To set the mark, the men carved an "N" into the northern side of an oak standing on the hill, and an "E" on the southern side. Other trees along the line were marked in a similar fashion. Still, though, the hill is now decisively within Newark boundaries. What happened? In 1834, Elizabeth gave up its portion of what's now Weequahic Park, and a bit more, for the formation of the township of Clinton. That small, marshy and somewhat rural community was absorbed by Newark in 1902, extending the city's boundaries southward against the portion of Union Township that eventually became Hillside. Union was once part of Elizabeth itself, breaking away in the early 1800s. The irony is that the pavilion commemorating the boundary-setting was dedicated long after it became irrelevant at the point where it's celebrated. As part of Newark's grand 250th anniversary in 1916, the city commissioned famed architects Carrere and Hastings to design and build this ornate monument to the foresight of the neighboring cities' founding leaders. A memorial plaque was placed, fittingly enough, by students from both South Side High School in Newark and Battin High School in Elizabeth. So there you have it; a memorial placed by history-minded students at a place that no longer stands for what it once was, marked by a grand piece of architecture. What better Hidden New Jersey could there be?